There’s a current debate in USA about retiring stallions to stud duties before they have raced in 3yo / 4yo or open classes. The Jeff Gural run Meadowlands is staying staunch, but Hamiltonian and Woodbine associations are pulling away after the pilot that Gural introduced. Behind that, is the whole debate about what emphasis we put on younger racing, and whether that is something that makes or breaks our wider industry. Like everyone, I love following the 2yo workouts, trials and racing, and seeing what is popping up in terms of individual horses, maternal families and sires. But that is only one measure of a horse’s potential, and increasingly I feel uneasy about the drive to get horses showing up early and getting a return for owners, versus the longer term potential of a horse. Mostly trainers are astute at judging that, and will give an owner a clear steer. But owners and breeders also need to have realistic expectations that are also supported by longer term rewards. Which is basically what Gural is trying to achieve, even if he does antagonise many vested interests. As is shown with Father Patrick, as well as many European male horses, a horse can be a sire and also race as an older horse. An aged mare can race and have embryo transfers. It is a win/win. But many of us cannot see the wood for the trees. The desire to create “a racehorse” starts so early for many horses, and although the breed is getting better earlier, there are some basic laws of nature and development which can’t be overlooked. It is like having an Olympics for 12 to 15yos. And do we wonder when many “child prodigies” don’t progress or break down in some way (emotional or physical), or are eventually outstripped by more mature people? Daniel Vettori is 36. Wonderful American pacer Foiled Again is 10 or 11. Pembrook Benny has just retired at 10. Lydia Ko is a world champ at 18. But these are all exceptions. The middle range is of course where physical and mental maturity catches up with raw potential, and you end up with an athlete. There is something very satisfying in seeing champions ripen with age rather than seeing talent burning bright and early – and sometimes out. It reminds us that a horse may only be getting to physical maturity as a late 3 or 4yo or older. Those are young bones and young minds that we are putting into harness. I’m a strong believer in trying out a horse at 2yo if it has any natural ability, but only to a point where it shows what it really needs and how natural it is under the pressure of racing. 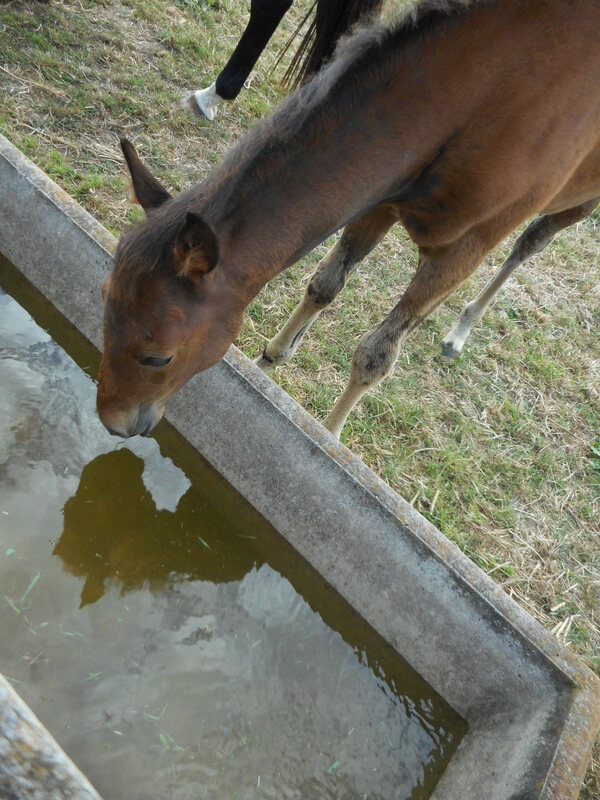 I often wonder if the “waste” of untried horses in the back paddock of past years has just been replaced by the “waste” of young horses tried too soon and too hard and rejected or broken down or broken as a result. When I see my foals growing and developing, I realise just how much they are gawky young kids, getting to find their feet and grow their bones, with muscle and temperament development still ahead of them. A few are precocious, some are not. But they all deserve our time and patience, and careful observation regarding their underlying ability. My advocacy to give a longer term return to breeders is based on a horse’s performance – patient breeders (and patient owners) deserve some real recognition for waiting and letting a horse find itself. Often these are the horses that make up the majority of race fields, week in and week out. Selling early on potential is one thing. Getting real performance on the track is usually harder – and definitely worth rewarding. A couple of trials and a non-tote heat for 2yo trotters were of interest at Cambridge today, although a major highlight was seeing The Orange Agent, Democrat Party, Supersonic Miss and Joanne’s A Delight battling it out in a four-horse heat of the 3yo Nevele R Series, and finishing in that order. The speed came on from the second quarter of the last mile, with The Orange Agent holding the lead throughout and eventually pulling away from a brave Democrat Party who was parked for the last half. The time was a cracking 2-38.3 for the 2200m trip, and although the winner was never seriously challenged for the lead, the manner of the win was all class. Both the Orange Agent and Democrat Party are American Ideal fillies from strong families. The Orange Agent has Artiscape as her damsire – he’s done an okay job as a damsire with 40 NZ bred winners to date, and just over half of those going 2-00 or under. In the non-tote Sires Stakes 2yo Trotters Prelude it was a huge contest between the talented Gershwin (from the outstanding mare Allegro Agitato) and the Muscle Yankee filly High Gait who is bred by Breckon Bloodstock (the mare Regal Volo was bought by Ken Breckon off the Feiss’s) and so the filly is a full sister to Twentyten (racing well in Australia as Ourtwentyten). The tussle up the home straight was sensational, with the filly just getting the better on the line, and a course record to boot. Gershwin is a truly talented trotter. He was withdrawn from the yearling sales after an injury, but has bounced back from that to give his breeders the Laurens and now co-owner local vet Ian MacKay something special to take to the races. I doubt if this is the last time these two trotters will battle up the home straight! 2yo trotting filly High Gait (Muscle Yankee x Regal Volo) returns to the stabling area after winning the non-tote Prelude. Photo:Bee Pears. Finally, I was keen to see how the 3yo gelding by Shadow Play called Back The Black managed his qualifying race. I’m keen on Shadow Play’s potential as a sire, as blog readers will know. So I like to keep an eye on what is popping up. Back The Black, bred by W H Fleming and owned by the Flemings with D L Hopkins, did the job very nicely for trainer Nicky Chilcott and driver Peter Ferguson. It was not a quick time, a dawdle and a sprint, but the gelding looks like he has ability and controlled the race in front. His pedigree is worth looking at – there are some elements I’ve flagged up as being potentially good clicks for Shadow Play. but also the maternal line is a lesser known branch of the Rosehaven family (the dam of Black Watch and one of New Zealand’s all-time great maternal families). Interestingly it is the same branch that produced Hot Shoe Shuffle(by Falcon Seelster as is Back The Black’s mare Drums Of Time). The link back to Warm Breeze in Shadow Play’s maternal line creates a Rasmussen Factor of sorts. This is early days for the gelding of course, but he will be worth tracking as he learns and develops. Back The Black holding his front running position easily and winning the qualifying trial at Cambridge today. Photo: Bee Pears. I came away from the North Island Standardbred Breeders Forum a bit disappointed, as once again a great opportunity to discuss ideas and move solutions forward took a back seat to presentations on the current state of the industry and a description of the funding model. The workshops and panel discussion was squeezed in at the end, merged into table-based brainstorming on a list of high level industry-wide topics with an over-moderated panel discussion. Maybe that was so we could finish on time, but the result was much less of a “forum” than was advertised. I looked around the room at the 50 to 60 guests and saw the range of breeding was well represented, from the big and high end, to those who may have just one or two mares. So there was a fantastic opportunity to focus in on some specific breeders issues and get some insights and some potential solutions. And perhaps to kick off some specific working groups. To bring people together, rather than just put them in one room. But that didn’t happen. As each table reported back, there was a real lack of nitty gritty ideas to debate, and a lot more reiteration of what we already know. A table stacked with breeding leaders came up with the fact that “every part of the industry depends on the other parts”. It wasn’t their fault. It was just that the format of the forum didn’t allow them to come up with much else. I noticed that three tables included specific reference to breeders incentives in their feedback to the wider group, but these were noted and put to one side by chair John Mooney, and instead we had protracted discussion between the panel and John on conditions as a way to deal with the falling number of race horses. 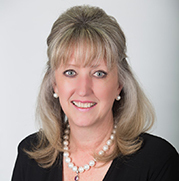 On the brighter side, Kiely Buttell kicked off the forum with a report on the profile of breeders and the survey NZSBA did on why those who left are doing so – interesting. Around 60% of breeders are breeding from just one mare, and this is where the industry is declining in terms of breeders stopping participating in breeding. Some of the exiting is through age and death, and many because of rising costs. “Exit interviews” are well worth doing and can deliver very useful information. However our table later discussed whether those at the 1-mare end of the industry who have left are really those we might be trying to attract back – maybe they come from an era which is no longer applicable, an era of cheaper land, where every farmer had a mare in the back paddock. Do we want those people back? Instead, what has attracted some new breeders to start? And what would help those breeders in the middle range (2-5 mares) stay involved and add to their involvement? Someone from another table mentioned “trying to attract new customers vs rewarding and looking after current customers”. In any business, it is not an “either/or” You need to do both, but you have to get the balance right. That middle group of breeders (2-5 mares) makes up about 33% of NZ standardbred breeders (19% with 2 mares; 14% with 3-5 mares). It is where hobby enthusiasm and business/financial reality meet, and perhaps where more effort could go into mentoring and finding out what would keep that group alive and well. The breeders of 6+ mares makes up the remaining 7% of NZ breeders. Figures were not available at the forum to show what percentage of mares or foals born each year (and perhaps registered foals) come from each of these groups of breeders, but have been promised. My attention was grabbed by the presentation by Dominique Dowding, CEO at Alexandra Park. It was well reasoned and provocative, just what we needed more of. She outlined some of the approaches that are taking the Auckland set up into the future. Among her statements I noted: Are higher stakes really the panacea? Stakes at Alexandra Park have increased but still many races are not attracting good numbers of entries. The perception seems to be that Alexandra Park is harder to win at so trainers and owners look for easier options with lower stakes further afield. You could sense the frustration in her voice! Dominique also challenged the structure of the industry – “The infrastructure is not correct, and the funding model is not correct.” Therefore any solutions we try may be addressing only the superficial issues rather than the fundamental ones. At Alexandra Park they stopped relying heavily on external funding streams and started focusing on generating their own sustainable income. She summed it up by saying that in many ways harness racing was a professional sport still acting like an amateur. Her passion for a sound business model to base our industry on is music to my ears. It doesn’t mean we become some sort of soul-less Golden Arches “have-a-nice-day” industry. There are many successful industry models that we could learn from that incorporate both big and small players as producers and consumers – I can think of the New Zealand wine industry as one. A forum with more focus and more time for sharing ideas and developing possible solutions would be great next time. I don’t want to knock the organisers. The forum is a neat concept and I would love it to continue, but perhaps in a way that produces some “meatier” exchanges of ideas and has more focus on breeder issues and a plan for moving them forward. 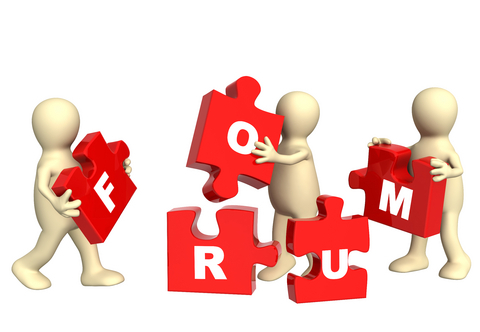 Come up with a tighter theme, produce some information in advance, and give more time over to the “forum” side of things, with presentations angled to feed into the discussion in one way or another. So after all that, did I get any opportunity to raise the ideas about breeders bonuses that I covered in my last 4 or 5 blogs? No. Only within my table discussion, which was about 30 minutes to cover off about 6 high level topics and try to come up with something we had done no homework on. However I did say to both John Mooney and Kiely Buttell afterwards that I would be keen to follow up on that breeders bonus issue if it was approached in a consultative and planned way – and that I would like to see others involved to. A year ago I blogged about this, so I won’t repeat myself, but instead ask that you read that blog here. It refers also to a survey on bonuses that was done by NZSBA, but in my view the options provided were not well described and only one really focused on the ongoing needs of breeders of all horses to have an opportunity of sharing in the success of what they have bred. I know it was just a “toe in the water”, but sometimes that means you are only experiencing the warm shallows rather than the temperature when you really dive into the water. Delighted breeder receives a bonus! So tomorrow at the North Island Breeders Forum I hope we can discuss what is happening to make significant progress on this score. Personally I would advocate for developing a discussion paper which investigates the pros and cons of several different options, all of which put a return to breeders (rather than future owners) at the top of the priorities. I’d like to see the principles I listed in my recent blog incorporated. People with access to more data are in a better position to assess aspects like predicted numbers and percentages of winners, financial sustainability, etc. And one important criteria I haven’t mentioned so far is that a scheme needs to be national (if not Australasian) rather than deals done with specific clubs, racecourses, types of breeders, or studs. Then circulate that paper widely, get discussion going, hold specific forums on it, test it out in modelling using the current statistics. Talk to other players who would need to buy-in to each option, e.g. commercial “sponsors” for my previous blog about the “hot points” system. Set up a representative group that helps with the consultation process and assesses the feedback, and then does further work on a couple of preferred options. There are people who are passionate and informed about this issue who should be included in the development of options – rather than seen as “sniping from the sidelines”. Be inclusive, be adventurous. Ask for volunteers as well as appointing people who have strong skills needed for this sort of analysis. If the process takes 12 months but is a good one, then that’s fine by me. if you registered a mare, you gain discounts for registering her foals. The registration of a mare would be transferable to a new owner. if it was an ongoing bonus for each win, would you make it an annual smaller payment for a registered foal, so breeders have the option to continue or opt out if the horse was not developing well? or would you make it a significant one-off payment for a foal or yearling, and get a one-off bigger bonus payment for the first win only? should the bonus be based on percentage of winning stakes or percentage of total stakes, and what sort of percentage? 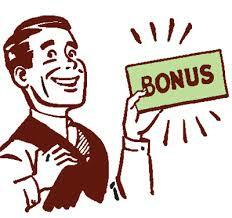 Or should it be a fixed bonus amount for a win, regardless of the level of the stakes or the status of the win? Which option would reward the most breeders and be the fairest? how can the costs of the scheme be shared around, so it is self-sustaining but not an additional burden falling on the party it is meant to assist? what message/s would we want send to breeders? What are we trying to encourage? These are the sorts of issues that a half hour workshop at tomorrow’s forum will hardly be able to touch upon. Which is why I would like to see instead a discussion about the process of moving this forward strongly – a plan for investigation, discussion paper, consultation/feedback, assessment, recommendations, and decision-making – and a process that is inclusive and engaging rather than behind the scenes. I don’t have the access to databases or time to develop detailed scenarios, I’m just trying to make a contribution in evenings and weekends after my day job and helping look after my horses like all of us. So what I can paint is a picture of an option or two that might be worth following up. It’s not perfect but I am trying to stimulate debate and open up ideas for discussion. I’m keen to look at positive futures for breeders. I’m putting my hand up for that. Are you? Come on, we need to get some momentum to support our NZ Standardbred Association by coming up with really interesting ideas for them to take forward, and taking a real interest in what they are doing. How can we reward standardbred breeders fairly? Over time, and on performance. This idea is a Breeders Credits Reward system along the lines of many commercial schemes operating at the moment outside our own industry which try to attract loyalty. For me, as a customer, one of the best is the Westpac Hot Points programme, but for others it might be a retail loyalty card, or perhaps Air NZ Airpoints. The wider principle is the same, it allows you to build up credits against your expenditure and cash them in for a range of products and services from a variety of suppliers. The obvious difference is that our harness breeders scheme would be based on credits accumulated through earnings – wins and or placings for each horse bred (and nominated for the scheme) by a breeder. Whether that is on numbers of wins or stakes earned, I’m not sure, but my gut feeling in terms of industry development and growing new breeders/runners is to reward on number of wins (and perhaps placings although that dilutes the reward) rather the rewards based on stakes earnings. Why? Because a tiny number of big stakes races often add huge earnings to so few race horses, and therefore the breeders are not recognised for their role in providing good winners in the daily racing across the board. That’s what keeps the industry going. Spread the rewards, grow the pool! This sort of breeders scheme is going to need some financial input from breeders to set up the pool. So I suggest an entry payment of some sort (but what should be debated e.g. is whether that is annually renewing fee or one off, and whether it is per horse, per mare, annual or all up etc.) The Breeders Crown system has set some good precedents. But the main thing is to keep it easy for breeders to get into, not a high cost/high risk subsidising payment for someone else who will get the rewards downstream. The advantage of this type of system is that is that it can leverage off a wide range of sponsors for “vouchers” which the credits can buy, and that will open up some good sponsorship deals. For example, your NZ Harness Racing Breeders Credits might help pay for a service fee you otherwise couldn’t afford; or you could spend it at a feed store on a particular type of feed sacks; or with an equine dentist for so many hours of work; or an equine shop; or equine transport credits etc. So it does give opportunities for deals to be struck with industry participants – and that might even be the TAB offering cash conversion to your TAB account. But whatever, it is a reward that goes back to the breeder and empowers them to use it is the way the suits their circumstances. That’s the real advantage of this option! Another real advantage is that credits could be transferable to another owner if the breeder made that choice. Harder to administer, but it might provide a good selling point for mares and progeny if they are paid up and have got credits in the bank. A key would be that credits would not be able to be “cashed up”. Next time I cover off Option 2. Sunday 8th March at Alexandra Park, 9am – 1pm. 11.30am Breeding/Industry panel to answer your questions.If you have any comments/questions that you would like to raise anonymously, please feel free to complete this form and we will ask the question on your behalf. If you are not going to attend the meeting and would like specific feedback on your question, please fill in your contact details.This will be a great opportunity for breeders to voice their opinions and collaborate for the betterment of the industry. We talk about breeder’s bonuses or options to give more back to breeders, but there is no structure to the discussion. We’ve had an online survey (toe in the water) and brief moments at forums, but I don’t see a real effort to engage with breeders in an open discussion on some of the options that are being used world-wide or might be local programmes that work here. When I go up to Auckland this Sunday for the Breeders Forum, I hope we get some specific feedback into what our representatives are aiming for and what the alternatives might be for our consideration. One-off achievements with specific clubs or sponsors are brilliant, but they don’t give a cohesive response to the NZ breeder’s problem. We need an industry-wide solution. I want some options that build on what we know (globally), that asks questions, and provides robust opportunities to discuss answers. So to put some ideas into the circle…. There needs to be some effort to look into the actual costs (variable between locations) of breeding and raising a horse, so we all have a sense of range of costs that a “raw material” producer could expect to outlay in this industry. Hidden costs are just submerging this issue in a sort of invisible breeder’s donation/hobby account. For example, gaining younger newcomers to the industry may be increasingly dependent on them having access to land, which is a huge ask in today’s real estate market. Their scenario is quite different from the older farmer with 500 acres and a hobby interest. Any reward must be based on outcome (performance) to avoid skewing the breeding market to a poor quality product just to increase foals on the ground. Programmes that have addressed a similar need for other players in the industry can often be a good, affordable, sustainable and fair “role model” if they work well. Those who benefit need to make a contribution e.g buy in to a programme; but also need to see how that benefits them. The return to breeders needs to be meaningful but viewed as a bonus rather than compensation of costs. We need to associate this with an accurate database of breeders, and thanks to HRNZ’s incredible system that should not be a major issue, but it does need to be workable and also within a system such as the Sires Stakes administration unit which can provide the formalising of a scheme. 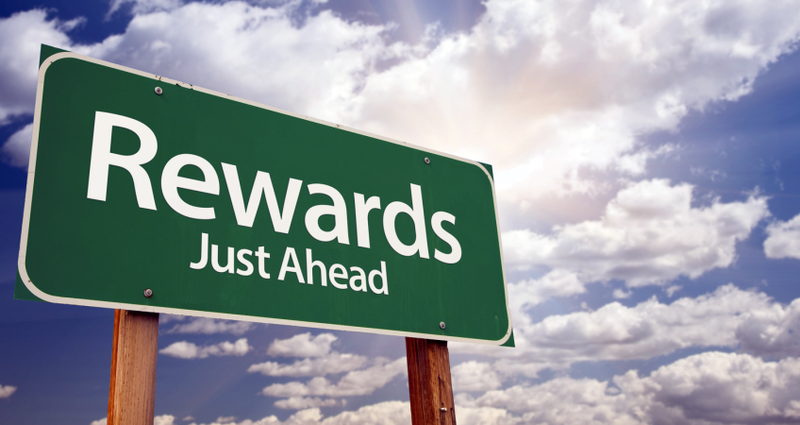 There are commercial incentive and reward options outside our industry which might also be worth looking at as a template, including the successful “Westpac Hot Points” scheme based on gaining expenditure credits, but this could be modified to performance credits. Any rewards/recognition programme needs to have the ability to “tweak” to give signals to breeders about favoured long term directions. I don’t mean short-term things like “Breed to this sire this year and get more bonuses” but rather helping to offset trends away from breeding fillies, or encouraging a wider spread of sires. Yes, that is controversial because people like to say that the market takes care of those things. But the “market” doesn’t exist in any pure sense and certainly not with any long term development bias (compared to short term financial gain). So let’s get real. If possible, given the Australasian market we have, it needs to work around the fact that many New Zealand horses bred perform in Australia not here, and these are some of the breeders who are currently losing out on the success of the horse. Finally the scheme needs to be inclusive (but voluntary to avoid any of the issues we have had previously with imposed schemes). So no-one is excluded, and it is not just an additional bonus for those who already succeed at the top end. For this reason I favour a system based on number of wins (for example) rather than stake-money earned by a horse. OK, those are my principles. You can probably see the direction I am going in, but I will explain a bit more next time. 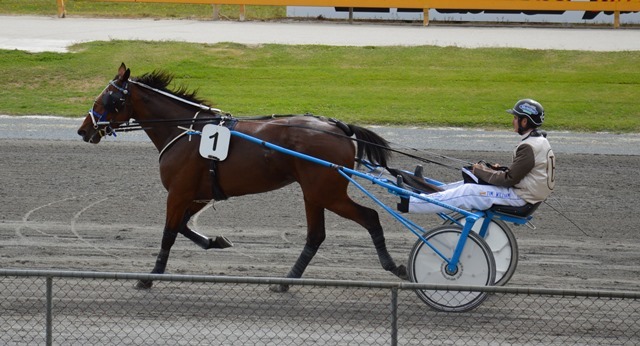 The Tintin In America filly who won the South Australian Kindergarten heat (his first winner) went on to win the Kindergarten final on Friday at Globe Derby. Not a huge race – just a $15,000 purse, but Just Wantano looks to be a tractable type with a bit of flair. Here’s my earlier blog about her first win. Worth checking out the race video of the final too, which is on the South Australian Harness Racing site (Globe Derby, 27 February, Race 6). Talking of new sires trying to get into the market, there’s a good article on Harnesslink about Panpacificflight showing up well from limited opportunities. I’ve done a couple of blogs specifically on this sire, and others that mention his family. Just use the search function on my blogsite and put in Panspacificflight to find them all. The main blog was about his yearlings sold at the 2014 sale in Christchurch. HRU: You recently added Lis Mara to your group of stallions. He was a terrific race horse when you were among his co-owners but has had mixed success as a stallion. How much of your decision to bring him home was due to sentimentality? MG: I think he can do well as a stallion. I do what’s best for the horses in every case. If you do what is best for the horse you’ll be successful. There was some element of sentiment involved but the horse was a tremendous race horse for us. In his own right he has four sons who have been under 1:50, including Mel Mara. who has made almost $500,000. The horse has got a tremendous pedigree and at some point he is going to produce a number of horses that follow in his footsteps. But you’re right. It was partly because I didn’t want him to be relegated to the backwoods of Central Australia and not know where he was, not after what he did for racing and for us and for the other owners. So I thought this would be a good opportunity to bring him back. Chucaro Acero BC, the Shadow Play pacer from Argentina, raced in appalling sleet conditions at Meadowlands on 21 February – the rest of the meeting was cancelled immediately after the race – and got a creditable 4th. He was not outclassed and will be interesting to follow him. Destination Moon, my Grinfromeartoear half brother to Tintin In America has also been racing again in America. He had a great start last season with three good wins in a row, but then almost three lasts in a row – the form turnaround looked partly to do with horror draws and also faster fields. It may well have been the big move to America catching up with him too, as it can take a horse quite a while to adjust. Luckily, his connections sent him out for a break. They are starting him off slowly again in easier races this season. He raced today at Freehold and won well in his first tote race for the season. Although at 1.57 it was a lot slower than his best time of 1.52, it will do his confidence the world of good.